Can we run a VFD-controlled motor faster than its rated RPM? Home » FAQ » Can we run a VFD-controlled motor faster than its rated RPM? 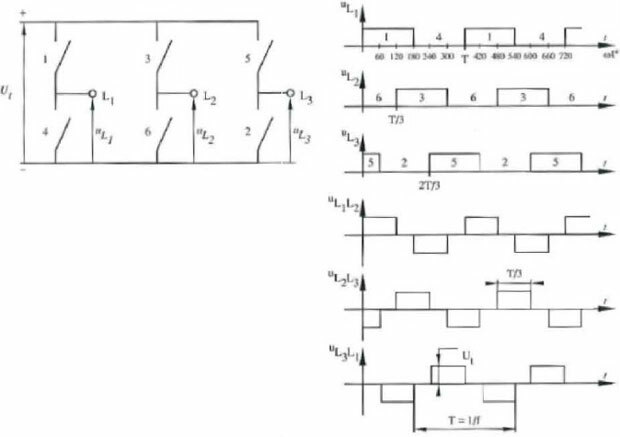 If the current draw is less than full load current (FLA), Yes, you can provided that you don't overload the motor electrically and that the motor can mechanically tolerate the higher-than-normal speed (i.e. its bearings). For example, a six-pole motor will normally uses bearings capable of much higher speeds so this should not be a problem. 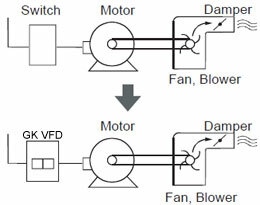 Induction motors connected to a VFD may need to be re-rated depending on the operating speed and the cooling method used. At speeds below the rated speed of the motor, they should be rated on the specified full-speed torque. Since torque x speed = power, the effective power capacity of the motor is reduced with speed. If a motor is continually operated at it's rated torque at less than full-rated speed, the reduced cooling will cause a temperature rise that could damage the motor. So, more cooling may be necessary. At speeds higher than the rated speed of the motor, the flux in the iron is decreased due to the output voltage being limited to the supply voltage. This causes a reduction in torque capacity with speed. The result is that the motor capacity is power limited to the rated power of the motor. Bottom line: if power requirements of the driven load don't exceed the rated power of the motor at the higher speed, then there should be no problem in operating the motor at the increased speed. If you are using a 4 pole motor you should be OK. 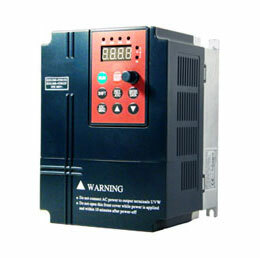 Check the running current at the higher Rpm, if your line voltage is 480 the variable frequency drive can be programmed to run the motor at the right voltage at the higher Rpm, also losses will be higher but the fan will be running faster.